The advent of antibiotics in the late 1920s revolutionized science and medicine was brought into the modern era. For the first time we were able to fight and win the bacteria that cause various infections, the leading cause of mortality at the time. In this paper I will speak of the major classes of antibiotics, briefly explaining why they are used. We consider antibiotic is substance that can kill or inhibit bacterial growth. Antibiotics can be bactericidal when directly destroy bacteria, or bacteriostatic, when they prevent the multiplication of them, facilitating the work of our immune system in infection control. To be effective and tolerable, the antibiotic needs to be a harmful substance to bacteria, but relatively safe for our cells. This does not mean that there can be side effects but, by definition, an antibiotic must be more toxic to invading bacteria than to the body invaded. It's no use killing bacteria that cause pneumonia and at the same time killing the cells of the lungs. The first antibiotic, penicillin, was discovered in 1928 by the English bacteriologist Alexander Fleming. Its discovery occurred by accident when his boards of study with the bacteria staphylococcus were accidentally contaminated by a fungus of the genus Penicillium. Fleming noted that around these fungi, there were no bacteria, which led to the discovery of penicillin, an antibacterial substance produced by these beings. At present antibiotics are synthetic substances produced in the laboratory, many derivatives of natural substances such as penicillin. Warning: Do not confuse antibiotics with anti-inflammatory drugs. How does antibiotic induce resistance? One of the biggest problems of modern medicine is the indiscriminate use of antibiotics, which has led to the emergence of bacteria resistant to them. When the first antibiotics began to be traded, there was an idea that infectious diseases were in their final days, and it was just a matter of time to be free from any kind of bacterial infection. However, as the use of new antibiotics became more widespread, resistant strains of bacteria were emerging and multiplying, creating thus a vicious cycle that continues until today. The more antibiotics are created, the more resistant bacteria appear. The antibiotic kills bacteria, however it induces the development of resistant strains, doesn't it? 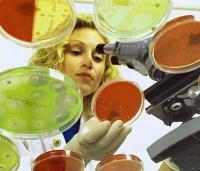 Antibiotic resistance can be understood through the laws of evolution and natural selection. Follow the text next to the illustration below. Let's imagine a urinary tract infection caused by E.coli bacteria. When there is a cystitis, we're talking about millions of bacteria attacking the bladder. These bacteria are the same species, but are not exactly equal, they are not clones. When choosing an antibiotic, we choose one that is effective against most bacteria. The antibiotic does not always kill 100% of bacteria. What happens is that if we reduce the number of bacteria to 5% or 10%, the infection goes away because our immune system is able to control what's left. However, sometimes our body cannot completely get rid of these bacteria, allowing them to reproduce and cause a new infection, now composed only of bacteria resistant to the initially chosen antibiotic. This is a simplified example of what happens in reality. It usually takes some courses of taking the same antibiotic, over months or years for resistant bacteria to emerge. This process is nothing more than natural selection where the fittest survive and pass their genes to their offspring. 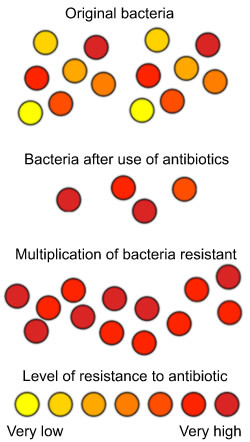 Some species of bacteria are likely to create resistance as well as some antibiotics cause resistance more easily. Some facts, however, favor the quick emergence of resistant strains. The key is an early interruption of treatment. If an antibiotic is prescribed 10 days, it is because it is known beforehand that this time is required to kill almost all the bacteria. Some weakest bacteria are killed at 24 hours, others need seven days. If the treatment is stopped after 5 days, for example, more resistant bacteria, which need more time to antibiotics, may continue living and multiplying, causing now much more resistant infection. Another important factor is the indiscriminate use of antibiotics. 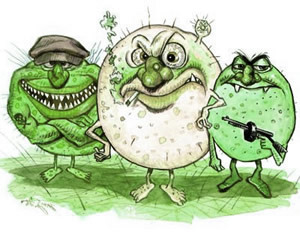 Many of the infections that we have are caused by bacteria that live naturally in our body, controlled by our immune system, just waiting for a drop to attack in defense. If the patient takes no antibiotics, for example, to treat virus infections, it will be pre-selecting for the most resistant bacteria, and subsequently there will be a real bacterial infection, caused by resistant bacteria. How to know which antibiotic is most effective? Through previous studies we know in advance the profile of each species of bacteria. For example, we know that the E.coli bacteria that cause urinary tract infection are usually sensitive to antibiotics Bactrim and Ciprofloxacin. However, patients with conditions of recurrent urinary tract infection, with multiple courses of antibiotics, they may have E.coli resistant to these antibiotics. Moreover, not all of urinary tract infection is caused by E.coli, there may be bacterial infections with completely different sensitivity profiles. How to know, then, specifically for each case which bacterium is causing the infection and which antibiotic is the most appropriate? The only way to make sure of the sensitivity profile of bacteria is through culture tests, which can be a culture of blood (blood cultures), urine, stool etc. For these analyzes you should collect a small amount of fluid or secretion that contain the infecting bacteria and place in an environment conducive to bacterial growth. 48 to 72 hours later it will be possible to identify exactly which bacteria are present and perform various tests with various antibiotics, trying to find out which are effective and which are ineffective. This test is called antibiotic. Every culture is taken in its outcome, so the name of the bacterium and a short list of antibiotics, to which they are resistant and sensitive, can be identified, so your doctor can choose the best option. When the case is serious and cannot wait for 72 hours, strong antibiotics covering a broad spectrum of bacteria are prescribed, and after the results of cultures only the antibiotic most indicated by specific antibiogram is left. What infections are treated with antibiotics? Any bacterial infection can and should be treated with antibiotics. Viral infections do not improve with antibiotic and therefore should not be treated with the same ones. Several bacterial infections should be treated with antibiotics, including: Infective endocarditis, Tonsillitis, Erysipelas, Urinary tract infection, Pneumonia, Meningitis, Tuberculosis, Gonorrhoea, Syphilis, Sinusitis, infection by H.pylori, Leprosy. The most common side effects are nausea and diarrhea. Some patients are allergic to certain classes of antibiotics; the most common are penicillin and sulfonamides. Pregnant women should be very careful with antibiotics, because some classes are associated with malformations. Penicillin and cephalosporin are the safest ones. Never take antibiotics without explicit permission of your obstetrician. Many antibiotics are eliminated by kidneys; it may become toxic for patients with renal failure, since their removal becomes affected. In these cases, it is often necessary to adjust the dose to prevent overuse of antibiotics in the bloodstream. Some infections are easily treated with short courses of one antibiotic, such as gonorrhea, chlamydia or cystitis. For curing others, such as tuberculosis, antibiotics need to be trebled and a treatment of at least 6 months is needed to heal. In milder infections, antibiotic choice is empirical, based on prior knowledge of sensitivity. In more severe cases or in infections not responding to antibiotics originally prescribed culture of a suitable material should be made to better guide the choice of antibiotic. was the first antibiotic developed and resulted in several other structurally similar ones. 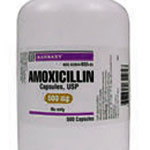 The main antibiotics of the penicillin derivatives are: amoxicillin, ampicillin, azlocillin, carbenicillin, cloxacillin, mezlocillin, nafcillin, penicillin, piperacillin, ticarcillin. Penicillin itself is now rarely used because most bacteria are already resistant to it. 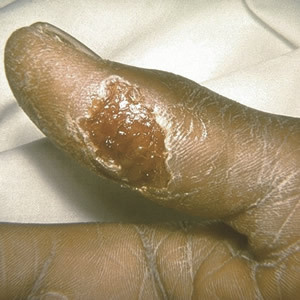 However, penicillin is still recommended for syphilis, tonsillitis and erysipelas. It should be noted that despite all mentioned above derivatives belong to penicillin family, the spectrum of action of each is very different, and piperacillin, for example, is used by hospital infections, whereas amoxicillin is generally indicated for infections of the airways. appeared soon after penicillin, its mechanism of action and exhibit very similar to the latter. Examples: cefaclor, cefadroxilo, cefazolin, cefixime, cefoperazone, cefotaxime, cefotetan, cefoxitin, ceftazidime, ceftriaxone, cefuroxime, cephalexin, cephalothin, loracarbef. So the penicillin and cephalosporin, although having different spectrum of action, are highly variable, they can also be used against serious infections such as meningitis, and even for simple skin wounds. are used to treat many infections, bacteria from the gut, including, diarrhea and urinary infections. The new quinolones are also effective for pneumonia. Examples: ciprofloxacin, enoxacin, levofloxacin, lomefloxacin, moxifloxacin, norfloxacin, ofloxacin. 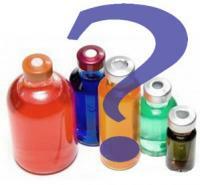 are antibiotics used in majority of cases during a hospital stay, because they are administered intravenously. They are recommended for severe infections. There are some formulations for topical use as eye drops. Examples: amikacin, gentamicin, kanamycin, neomycin, streptomycin, tobramycin. are generally used for respiratory infections, often in combination with penicillin or cephalosporin, acne, or chlamydia, in many cases as a substitute for penicillin allergic patients. Examples: azithromycin, clarithromycin, erythromycin. are currently used to treat acne, rage, some STDs, and leptospirosis. Examples: doxycycline, minocycline, tetracyclines. Other groups: aztreonam, clindamycin, ethambutol, imipenem, isoniazid, meropenem, metronidazole, nitrofurantoin, pyrazinamide, rifampicin, trimethoprim-sulfamethoxazole. Antibiotics Cuts Effect of Birth Control?